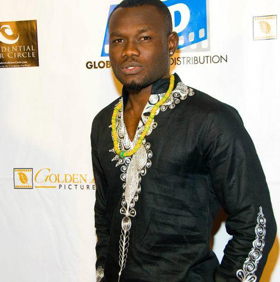 Award winning Ghanaian actor Prince David Osei will be showcasing his P.D.O clothing code named Snipperdee at this year’s Ghana Fashion Awards. The actor launched his clothing line last December and has since been enjoying some attention from the fashion industry. With barely a few weeks to the second edition of the Ghana Fashion Awards, organisers are also pleased to disclose names of some interesting entertainers who will be performing at the event on November 24, 2012 at the International Trade Fair Centre. Among them are Nii Obi Addo, a steel pan musician and PKay, an upcoming comedian who are expected to thrill the audience with their sizzling performances and add great flavor to the event. -Contribution to Fashion Communication and Media. GFA 2012 gives its highly honored invited guests a unique opportunity of enjoying a showcase by designers such as Prince David Osei (Ghana), Timothy (Togo) and a surprise designer. GFA 2012 will be strictly by invitation and is being supported by Black Secrets, Agoo Magazine, and Fashion Expo.